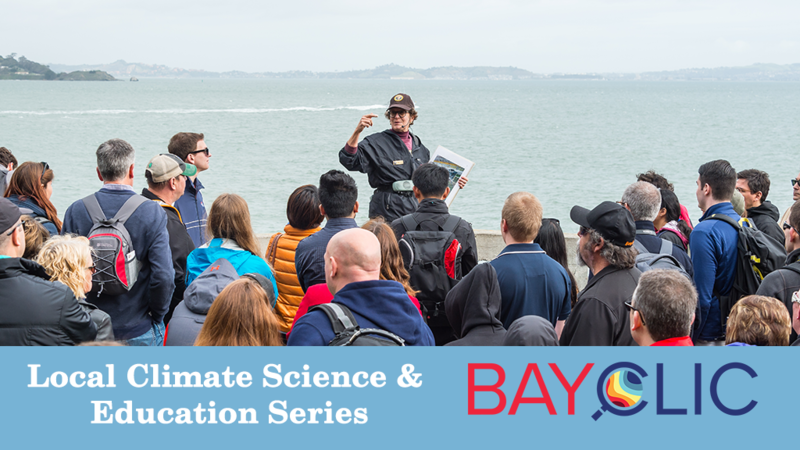 The Bay Area Climate Literacy Impact Collaborative (BayCLIC) presents the Local Climate Science and Education Series. We are convening the Series because we heard from many of the teachers, docents, interpreters etc. that we work with that they would like to know more about studies being conducted in the Bay Area and be connected to different researchers in the region. At the same time, we see that researchers are interested in science communication and public outreach, which we could help with by connecting them to teachers interested in their work. In each of the workshops, we will discuss regional climate change effects, learn from examples of science communication, and brainstorm solutions. The first workshop, “Deep Dive into Ocean Acidification,” is being held on Thursday, September 21 from 1:00-4:30pm at the General's Residence, Fort Mason and will focus on the causes, impacts, and study of ocean acidification. We invite formal and informal educators teaching all ages to attend and learn about local climate science directly from the researchers themselves. The activities center on data, demonstrations, and reports so that you can then translate climate science into your classrooms or informal education settings. Our goal is for educators to be able to bring what they learned from the workshops to their students immediately. Therefore, elements of the seminar, such as the hands-on activities, will be aligned with Next Generation Science Standards (NGSS). It is with the generous support of scientists that the Series is possible. We appreciate all researchers who can take time away from their research to attend and provide their expertise. It is important for researchers to have a voice and a space to represent their work fairly. In turn, our workshop will give them strategies for effective science communication. Whether a seasoned researcher or a graduate student, come learn how you can bring your research into education settings and connect with educators for future public outreach and broader impact collaborations. Let’s come together as educators and scientists to share current research and increase public awareness of climate change and ocean acidification.